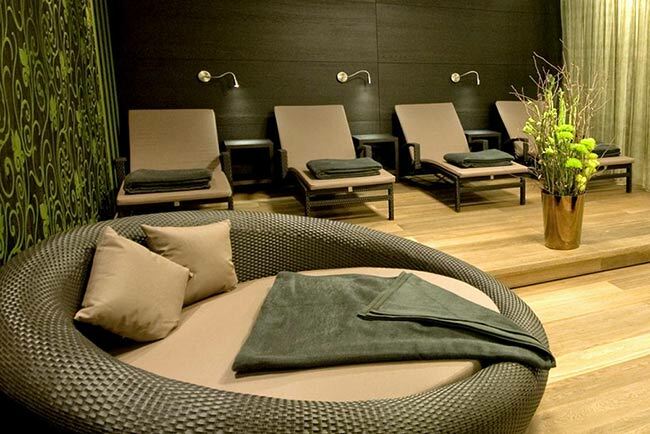 Enjoy life with all your senses with a SPA holiday in Kirchberg at the Rosengarten SPA where your senses are beguiled by sumptuous fragrances of vanilla, jasmine, aniseed, oregano, cardamom and black pepper. Soft sounds bewitch the ears. Aromatic teas, sparkling Champagne and fresh fruit delight the palate while pearl dust, olive stones, extracts of tomato and spinach pamper the skin. The eyes too enjoy blissful moments of rest with shades of olive, chocolate, beluga and rose. ‘Nothing is more important than reconnecting with your bliss.